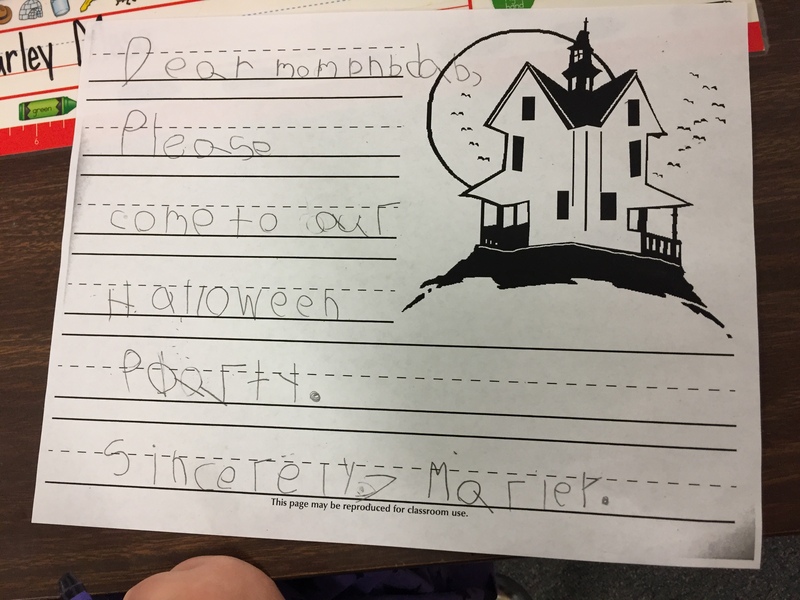 During writing we’ve been learning the basics of writing a letter. 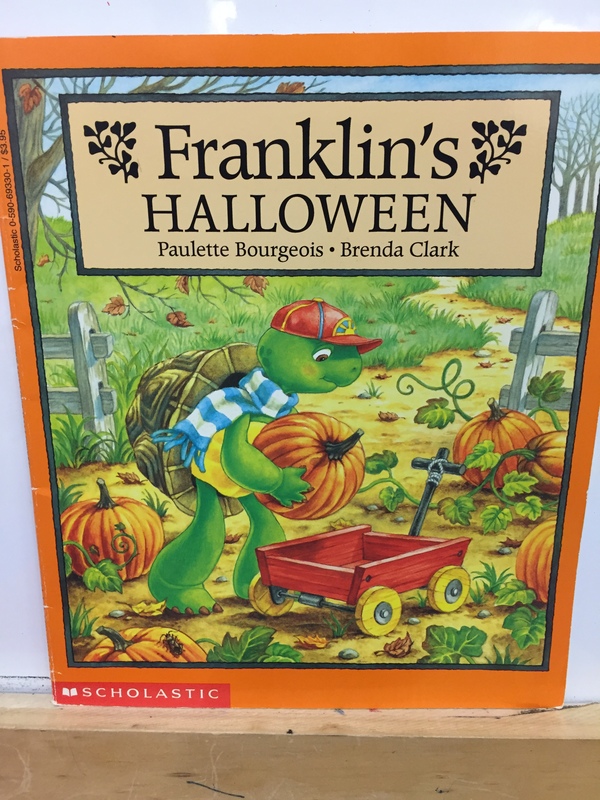 First we read the story Franklin’s Halloween. 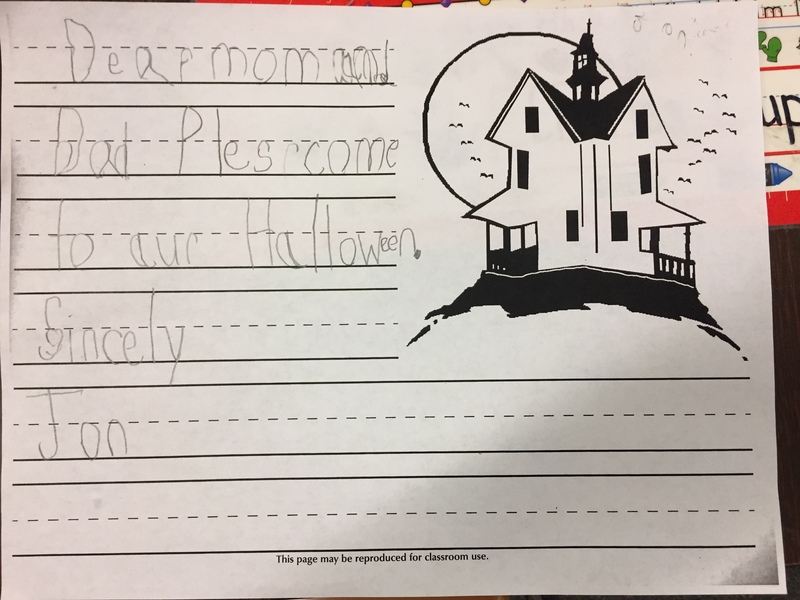 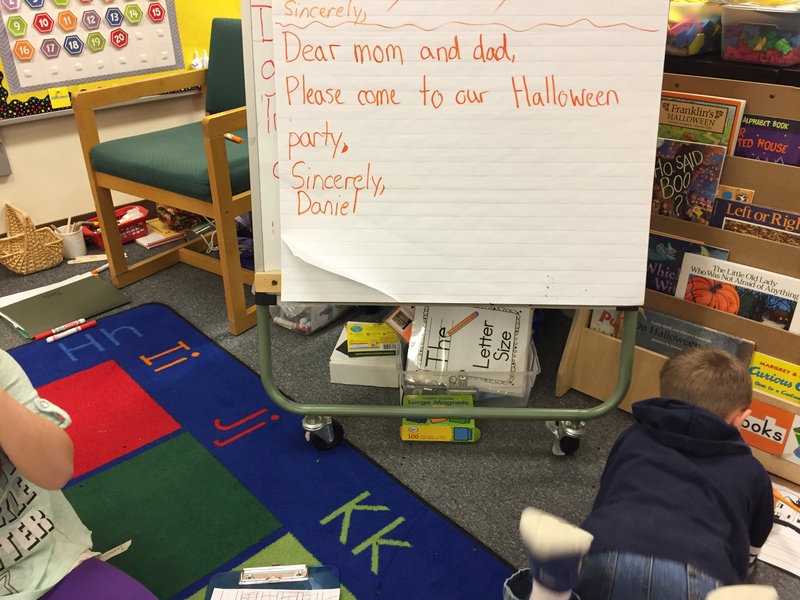 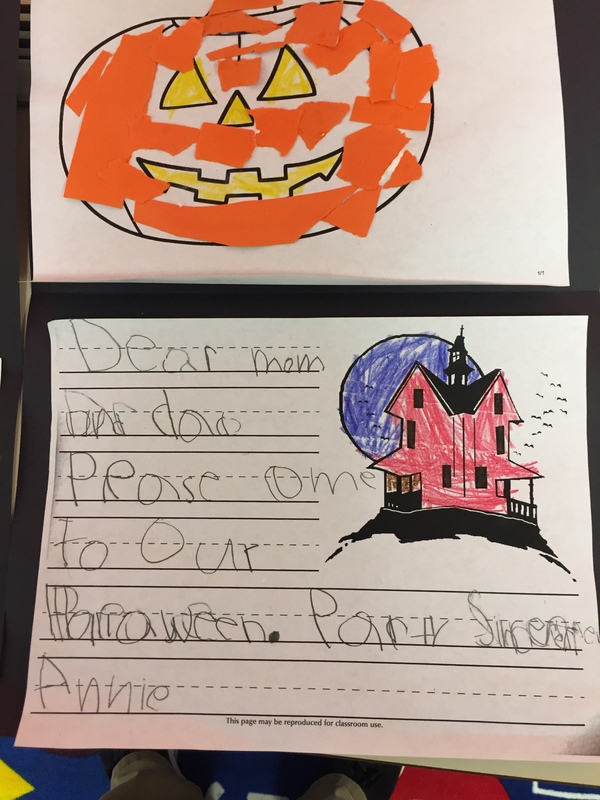 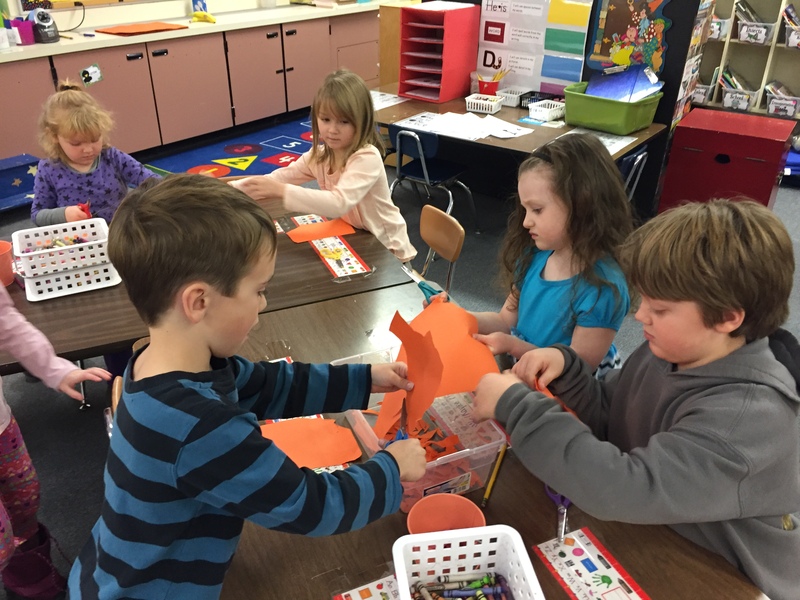 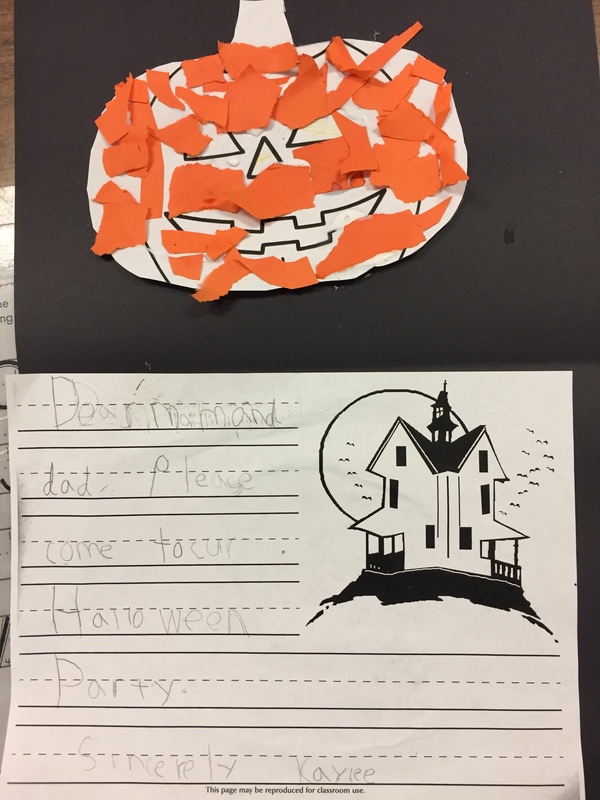 Then as a class we worked together to write a simple letter to our parents inviting them to our Halloween party. 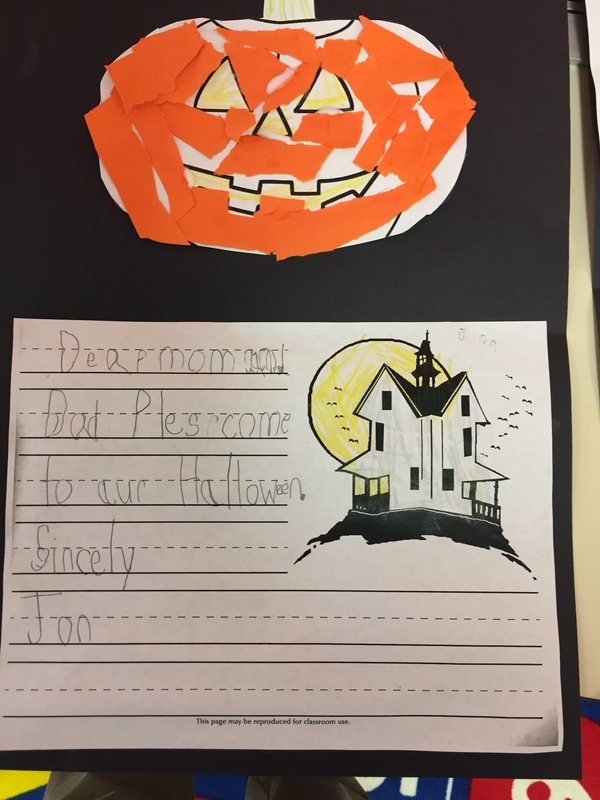 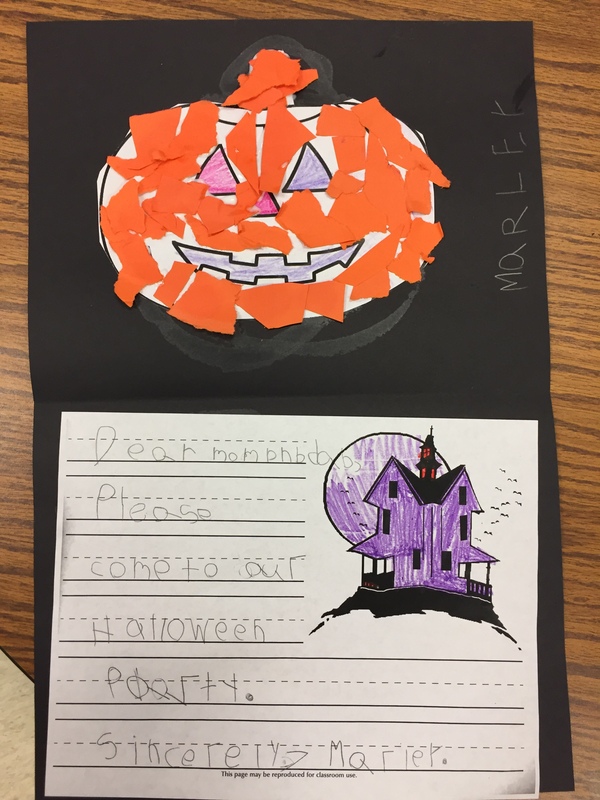 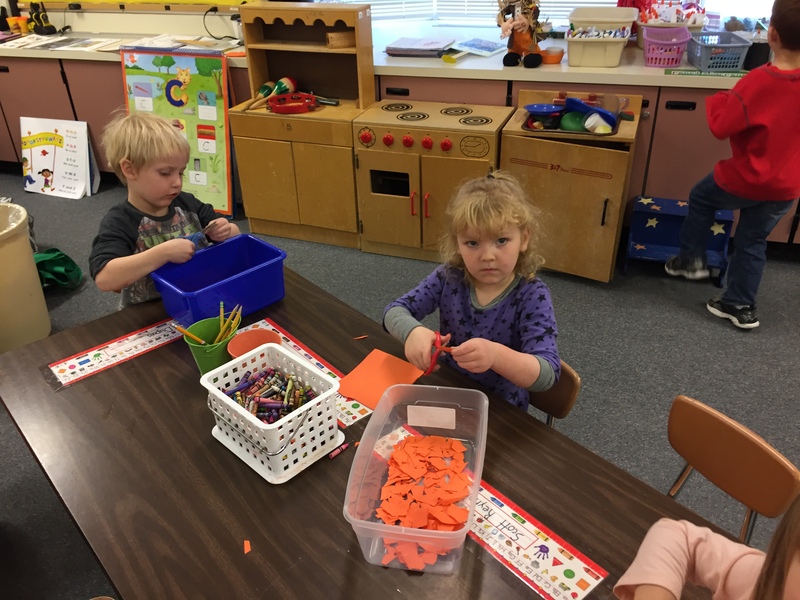 Then we used that letter to create a Halloween card.